Please Note: If you have any troubles viewing the videos on this page, you may need to install the latest version of the Adobe Flash plugin for your web browser. Article by Vickie Grandinetti for Vancouver Coastal Health. Volunteer Vancouver produced a booklet titled A People Lens, which contained an entry about two CNIS volunteers Bev McEwan and Elaine Gibson. An interview with Dr. Robin Fairfull-Smith about training new African doctors to handle the worst cases. About Dr. Tarek Razek’s work at McGill university, CNIS involvement and surgical volunteering overseas. A Cut Above: A biography of Ronald Lett and the history of the Canadian Network for International Surgery. In a country with one doctor per 100,000 people, Canadian MDs help train physicians in best practices and how to face limitations. With the HIV epidemic drawing most of the world’s attention – and donor cash – Canadian Ronald Lett struggles to help newly minted doctors compensate for the neglect that now plagues the continent’s traditional medical woes. A collaboration between the faculties of medicine at Université de Sherbrooke, Québec, Canada and Université de Bamako, Mali. The Canadian government supports the Canadian Network for International Surgery in going green. A short animation to help CNIS. Help them provide life-saving surgical and obstetrical courses in Africa. Learn about our Structured Operative Obstetrics course. Learn about our Essential Surgical Skills course. Bénévolat Réseau Canadien pour la Chirurgie internationale (RCCI). 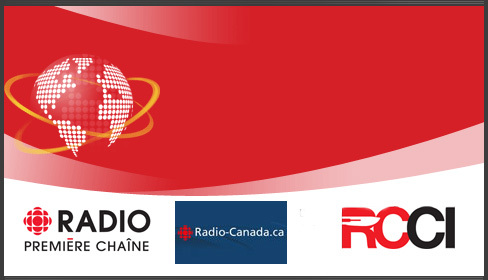 Interview with Dr. Josée Caron by Alain Turbide August 23, 2011. CNIS Provides Training in Surgical Skills in Low – Income Countries. Dr. Ronald Lett was interviewed by Fanny Kiefer of Studio 4 on ShawTV. He talks about the issues CNIS addresses in Africa. Discussion about the CNIS and the 2009 African Market.